Christmas is round the corner and I'm pretty sure many of you would like to know what kind of Christmas gift sets are available out there, or rather, worth the buy for your friends and family! Forget about going around to shop physically without having a clue what to get, because here I am to show you some of the gift sets that are worth the buy. 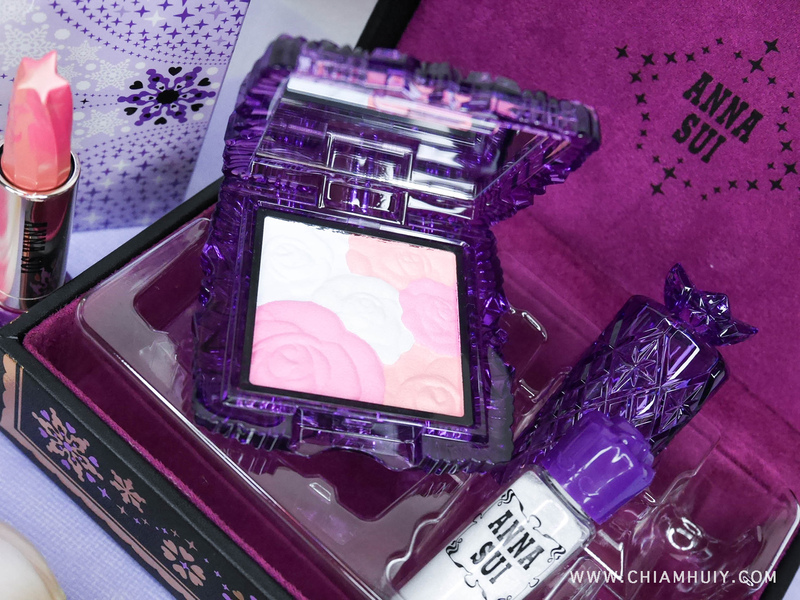 For now, let's check out the first item on #CelineXmas2015 - Anna Sui Cosmetics Holiday 2015! What I have here is the Anna Sui Holiday Snow Collection ($88), which comes in a gift set consisting Rose Cheek Color, Star-shaped Lipstick and a Color Powder in this lovely oriental box. Box (Size: W150mm × H58mm × D103mm). 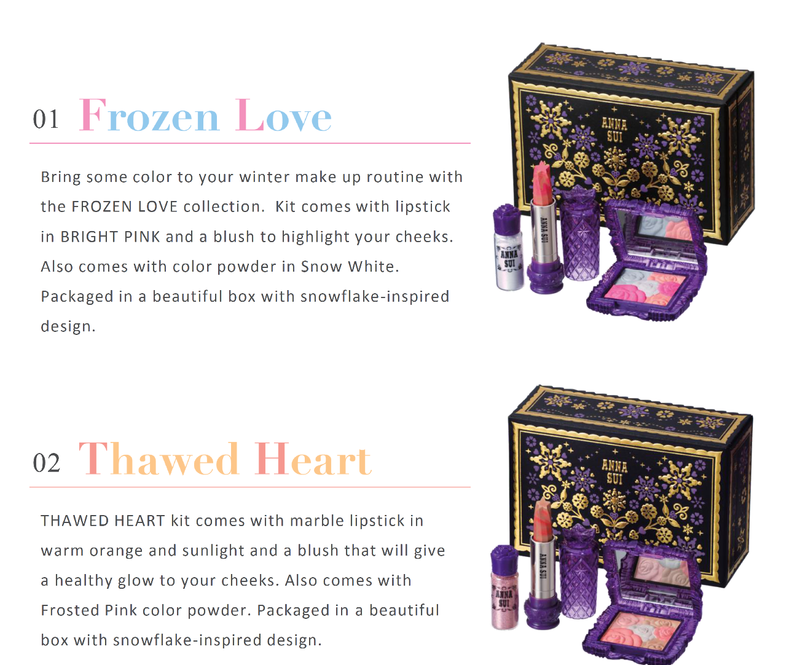 This Holiday Snow Collection comes in two different version: Thawed Heart (Warm tone) and Frozen Love (Cool tone). 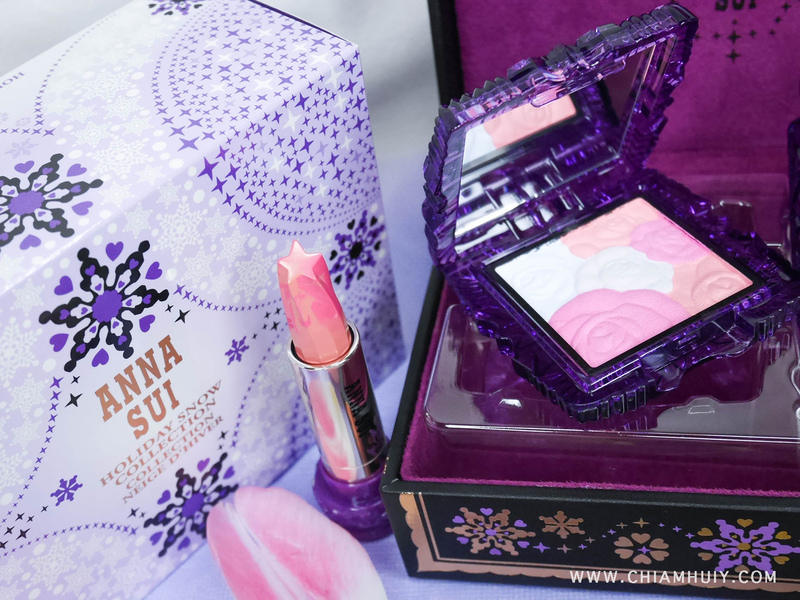 No doubt, Anna Sui Rose Cheek Color is one of the most gorgeous blushers ever thanks to its rose petals engravings. 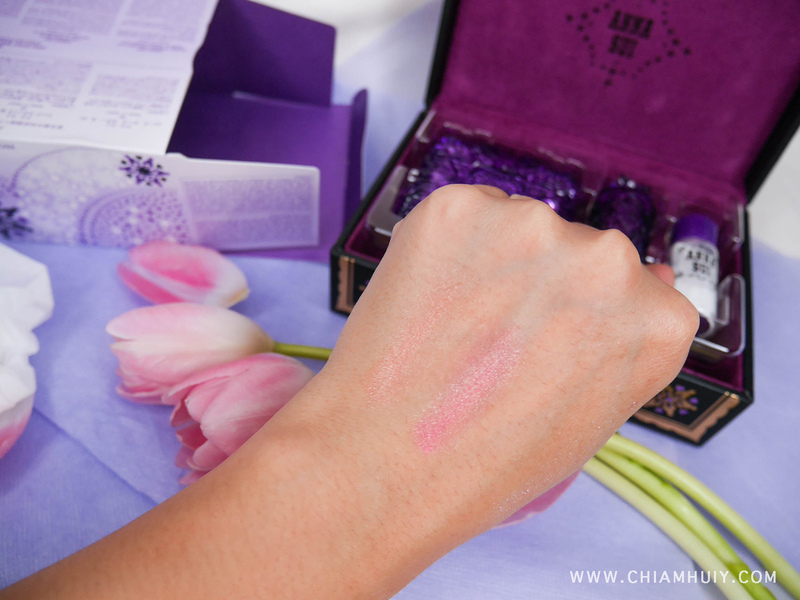 This cheek color has a multi function where each part (flower) of the blusher can be used for different purposes - blusher for the cheek and highlighter for the high points! Because this Star-shaped Lipstick comes in a spiral of two colours, it can be of different colours depending on what shade is on the surface. The one in Frozen Love collection is a combination of Bright Pink and Golden Yellow. During the festive season, the glittery powder will definitely come in handy since it can be used not only on the cheek bones, but also your collarbones or body to add shine and glitter to fit the joyous occasion! Glitter simply reminds me of the glittering lights on the christmas tree, don't you agree? 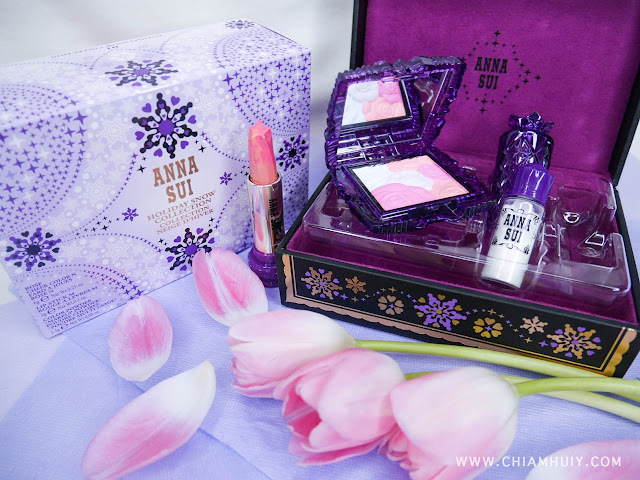 Do keep a look out at Anna Sui's Cosmetics Counter!